It had been nine years since our last visit to this beautiful lake, the largest man-made in Europe, and we timed it, hopefully, so the birds which the area is especially famed for would be in attendance. We were so lucky the magnificent Osprey and plenty of other species were on display over the Bird Reserves during the few days we stayed nearby. 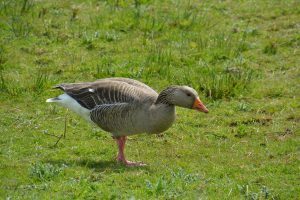 Our four day stay was mostly for bird viewing but the whole Rutland area is well worth a much longer visit. 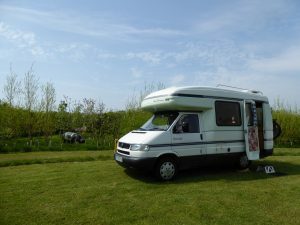 It was mid-May when we left Norfolk for the cross country drive to The Paddock, a small campsite overlooking Rutland Water. It turned out to be ideally situated, and the weather had really started to settle now and we were treated to warm sunshine for our mini-trip. After settling in we took a short stroll down the lane adjoining the site and visited the Lyndon Visitor Centre (opened by Sir David Attenborough in 1985) on the edge of the lake. 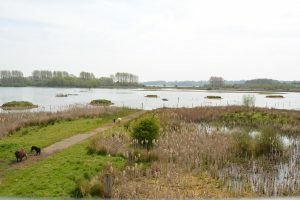 Adjoining the Centre is the southern section of The Wildlife Trusts huge nature reserve. For the sum of £4.50 for oldies like us or £5.50 for the younger folks you can enjoy a day on this and also the much larger reserve along the lakes western side near Egleton. The Lyndon Centre has a Weather and Wildlife exhibition as well as a web cam link showing great close-up views of the nesting Osprey. 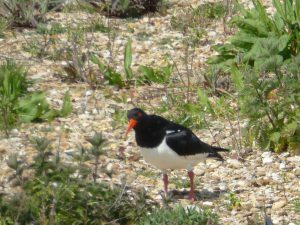 Our first venture onto The Trusts Reserve was to be after a somewhat surprising undulating cycle ride to the western shores Centre about four miles distant. We had assumed, in our ignorance, being around a lake it would be fairly level going, not so, if the trail could deviate to find an uphill section it did. 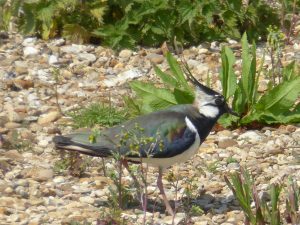 The Anglian Water Birdwatching Centre near Egleton to give it its full and proper title is in a lovely setting, on the edge of Egleton Bay. It comprises of numerous numbered lagoons and bays. Most having at least one and some two or three well placed viewing hides. All with the usual wooden benches and, beneath the viewing opening, shelves to clamp scope or camera fittings. 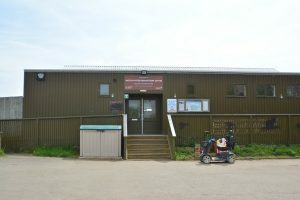 As to be expected it also sells various birding memorabilia and a selection of top quality scopes and binoculars. If not wishing to enter the actual Reserve there are two viewing areas within the reception area overlooking Lagoon One. 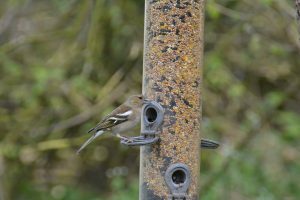 Also outside the front of the Centre there is a small Photographic piece of woodland and hide where Woodpeckers and various other birds normally found in one’s own garden are sometimes seen, accessible to the general non-paying public. Again parking is free with the Reserve entry fee, no height barriers. As with the Trusts other Lakeside reserve nearly all the trails and hides are maintained for disabled use. The Egleton Reserve is split into two huge, mostly flat, areas by the Centres reception building. For our first foray we exited the Centre and walked to the right and Lagoons 2/3 and 4 with their twelve hides.The added bonus of these large reserves is that there is normally a well-informed enthusiast in the hides to indicate the lesser known species. We were fortunate to have a pair of Black Tern and a Stone Sandpiper pointed out to us. What didn’t need any telling what they were, were the handsome pair of Osprey. First they sat on the nesting platform high above the lake, then the male swooped down to grasp a fish from the water and return to share it with his mate. Like watching a wildlife programme on the telly, only quite a bit too far away for a decent photo. 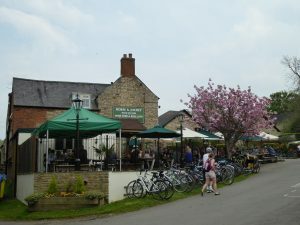 After spending almost five hours on the reserve and then the return cycle ride back to basecamp a refreshing pint was the order of day at the Horse and Jockey pub. Conveniently situated right next to the lakes cycle trail. Although we would have liked to have stayed on this site for a further couple of days other vans were pre-booked for the weekend so the owner offered us a pitch on his other campsite a mile down the road at Manton. As it turned out this next site would be just across the way from the pub we had visited the day before, so we lost our lake view but gained a local only a few minutes away. Again this was a C.S. size campsite with basic facilities and no toilets or showers, but it did have a Hippopotamus in the spinney behind our van, don’t see that every day. 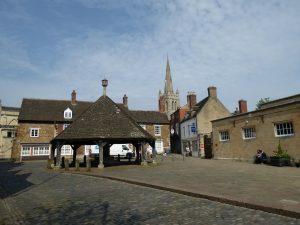 Prior to pitching up and settling in it was decided to have a short visit to the old market town of Oakham just a few miles north of the lake. 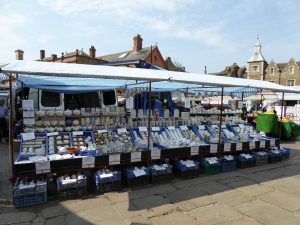 The county town of Oakham has two street markets each week, one Wednesday and fortunately for us one on Saturday and on the third Saturday of the month there is also a Farmers market. Oakham is a lovely little town, quite reminiscing of the Cotswolds warm stone villages. The helpful Visitors Centre can point the way to Oakham Castle with its 12th century walls and plasterwork and the free to enter Rutland County Museum, both have guided tours. 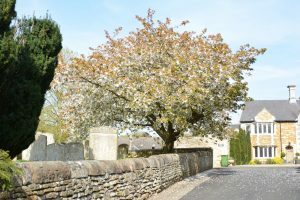 The towns Buttercross has the old Pump and well hidden Stocks beneath it. Of interest to model train enthusiasts is the Railway Crossing Signal Box at the top of the high street that Airfix used as a template for their models. Walking round the streets lined with small and varied shops was like stepping back in time, without the large dominant shops seen all too often nowadays, the market and the surrounding shops seemed to supply the locals’ needs. 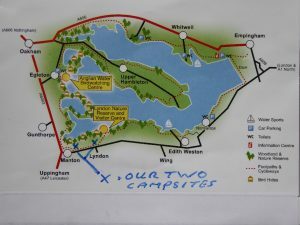 Our campsite owner was full of local knowledge and advice on the best walks and cycle trails. For the more adventurous (and fit) the round the lake trail of around twenty five miles takes in some wonderful views and a few gradients. He also hands out a very informative booklet “Discover Rutland”. Back at our campsite we were treated to an aerial display by a Red Kite swooping and twisting above the site in the evening sun. With another forecast of a dry and warm day another trip to the Reserve and explore the areas not yet viewed. Again we weren’t disappointed with the birds we saw. 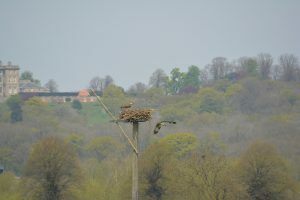 The two Osprey on this side of the Reserve were quite a long way off at Manton Bay but were still a sight worth seeing. The fourteen hides on this part of the Reserve are all outward looking over the various lagoons and bays, one inventive hide, aptly named, The 360 Degree Hide, gives splendid views and makes for a welcome place for a snack. All these hides lay beneath and around Lax Hill which incorporates a peaceful trail even if birdwatching isn’t your thing. Having been pleased with seeing so many birds, Redshanks, Avocets, Buzzard, Oystercatcher to name a few, and especially the magnificent Osprey another trip is certainly on the cards. ← River Stour, source to sea. One Response to Rutland Water. What an interesting tour of Rutland Water. Not quite how I remember it over 30 years ago. The photos are lovely and how lucky to see so many different birds.